I think its sweats, probably an 80\'s brand of sweatshirts and pants. A great contrast…timeless face and definitely not timeless clothing! 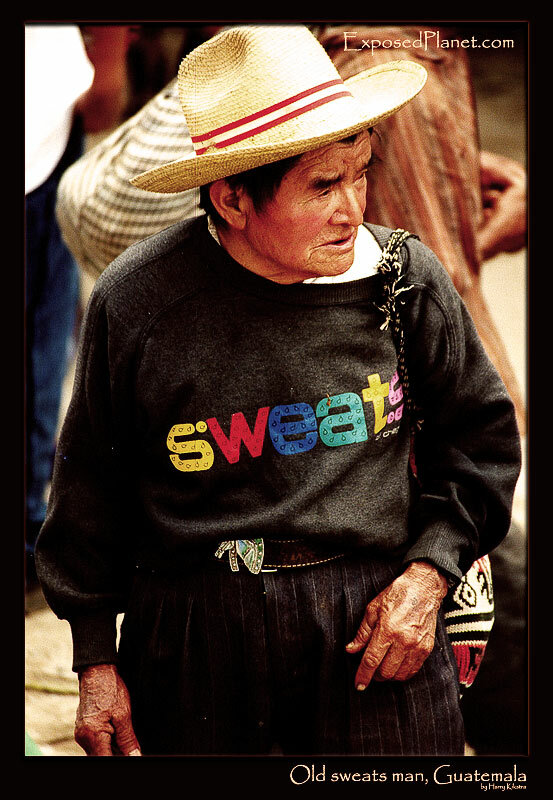 The story behind "Guatemalan sweats man"
Voted Favourite on MoodyMonday’s Fashionable challenge, thanks! I am still not sure what the word on his pullover supposed to mean, likely Sweat or Sweets, but anyway, it was so unfitting to this old man's face and the Guatemalan market he was wandering around on, that it required a photo in my view :) Voted Favourite on MoodyMonday's Fashionable challenge, thanks!